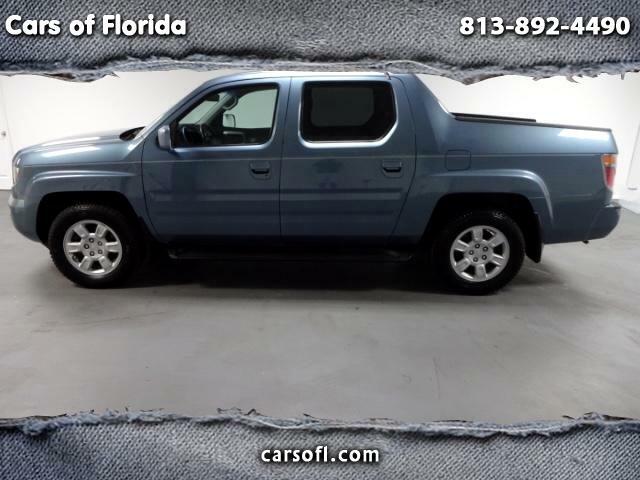 Cars of Florida is proud to announce this 2006 Honda Ridgeline RTL. This is the Ridgeline you been waiting for! SQUEAKY CLEAN CARFAX! Only two owners, no accidents. Everything from tires to mechanics is top tier on this vehicle. Being the RTL model, this is the top of the line Honda Truck available to consumers! Equipped with 4WD this is a great vehicle for work or leisure. Tons of space for family and pets! 255HP allows great acceleration for such a big vehicle. Impeccable interior and exterior. Very well maintained. Third party and in house owner financing options available. Fill out a credit app today at carsofl.com and let your new car find you!